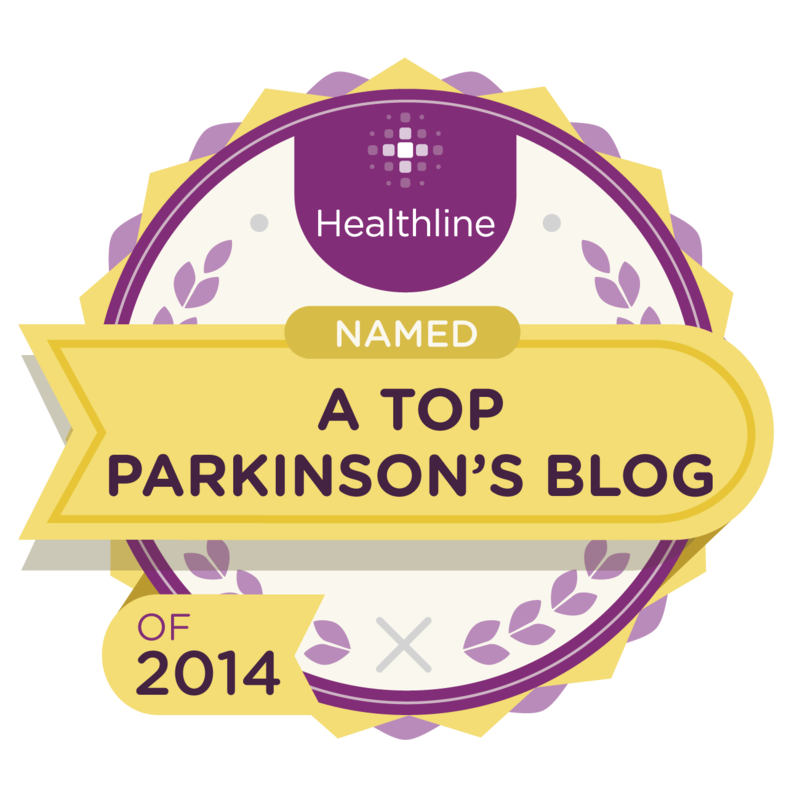 symptoms and brain health with Parkinson’s? This should be a dynamite presentation. It's being put on by The Northwest Parkinson's Foundation. I hope to see you there. Thanks to Alecha Newbern at NWPF for getting the word out. Breaking News! "Dignified Dachshund from Anchorage Hillside" Sweeps to Third Place in Parkinson's Pets Competition. The voting is over, the people have spoken. The dignified dachshund from the Anchorage Hillside came in third. She wins some Gramma Lucy's dog food and assorted Michael J Fox swag which we expect will make great chew toys. Vienna wishes to thank you all for your unstinting support. It's always a tough road when your legs are only six inches long. Vienna expects to take a few weeks off to rest, spend some time with family, and pursue her hobby of scratching herself. Although she is disappointed to have slipped in and out of first place to finally finish third, she has not ruled out future electoral possibilities. "We ran a hard campaign, a clean campaign that we are proud of. We stuck to the issue of my cuteness, and that message obviously resonated with a great many of the voting public." 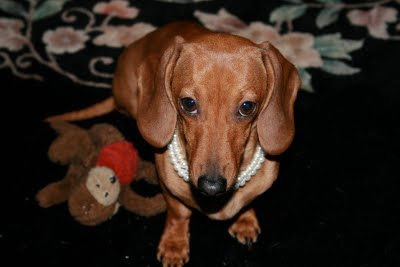 She went on to point out that her campaign attracted national as well as international support and said she would like to send a shout out to her friend Noelle in Great Britain and a big thank you to Roberta Greenberg and the Los Angeles Dachshund play group. She was quick to congratulate her opponents. She had nothing but praise for first place winner Our Perfect Champion who "not only ran a clean campaign but also well-brushed" And she hopes that Milly will be able to chew her share of the prize dog food without too much difficulty from that nasty under bite. Meanwhile behind he scenes rumors of a campaign in disarray swirled throughout the day. There were unconfirmed reports that Vienna had fired her one-person campaign staff, complaining of his lackadaisical approach to the campaign. Sources close to Vienna, including her closest friends Shadow and Olive refused to comment, although some reporters quoted Shadow as denying the entire story with a loud "NAYYYYYY!" More on this story as it develops, if it develops. I don't remember where I saw the information about the Michael J. Fox Foundation's Pets for Parkinson's contest. I do remember thinking that the above portrait of our Dachshund, Vienna, had a certain "je ne sais quois". For fun, I entered it. Imagine my surprise when I went to the page where the frontrunners were posted and found Vienna running a respectable second. I voted, posted the info to my facebook page and was rewarded when I checked in later to find Vienna had made the leap to frontrunner! Since then she has slipped in and out of first place. Currently she is right behind some silky blue-blooded golden retriever named... are you ready for this? "Our Perfect Champ" Well. It ain't over until the fat Yorkie sings. How can you help? Glad you asked. Just go here, and cast your vote for the scrappy underdog, Vienna. Look at that face. How can you say no? Chris Sparks, our lovely guide and mastermind of the Team Cul de Sac project, gives us a quick tour of some of the wonderful art work contributed by a talented crop of cartoonists to raise money for the Michael J. Fox Foundation. 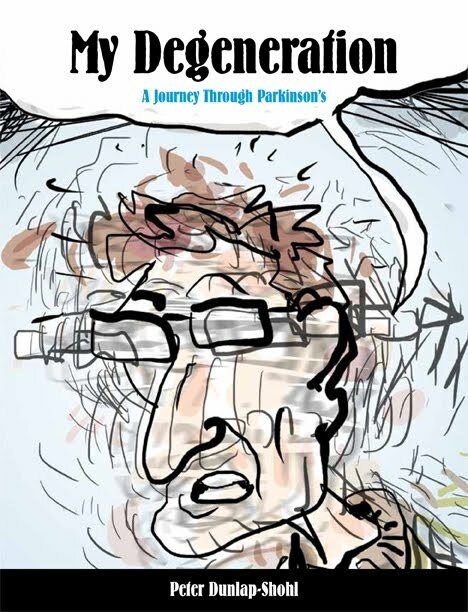 Chris started this project to honor his friend, cartoonist Richard Thompson, who suffers from Parkinson's Disease. Thompson is one of the most admired pens in the business, but only because he is wildly talented, creative, and a gentleman to boot. The cartoonists were invited to create work featuring the characters invented by Thompson for his Cul de Sac strip. The artwork will be combined into a book, sales of which will help support the Fox Foundation. Individual pieces will be auctioned and money will be raised for Fox that way as well. If you've ever dreamed of owning an original by Bill Watterson, Lynn Johnston or any other fine cartoonist, watch the Team Cul de Sac blog for details. In the meantime a big fat thanks to the people at Andrews and McMeel, who are publishing the book, and especially to Chris, who has a tiger by the tail. Wait a minute.... Is that Hobbes? When asked why he he wished to climb Mt. Everest, mountaineer George Mallory is said to have replied "Because it's there". When you ask Doug Bahniuk why he rode his bicycle 900 miles from the North Slope of Alaska to Anchorage, he cites a more compelling incentive. 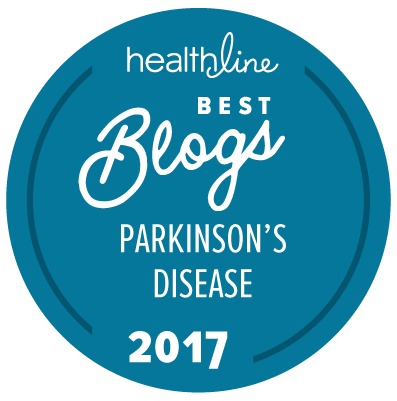 Doug wanted to show other people who suffer from Parkinson's Disease that adventure and accomplishment are still within their grasp. To achieve this, he set about a test that he describes as "Brutal". 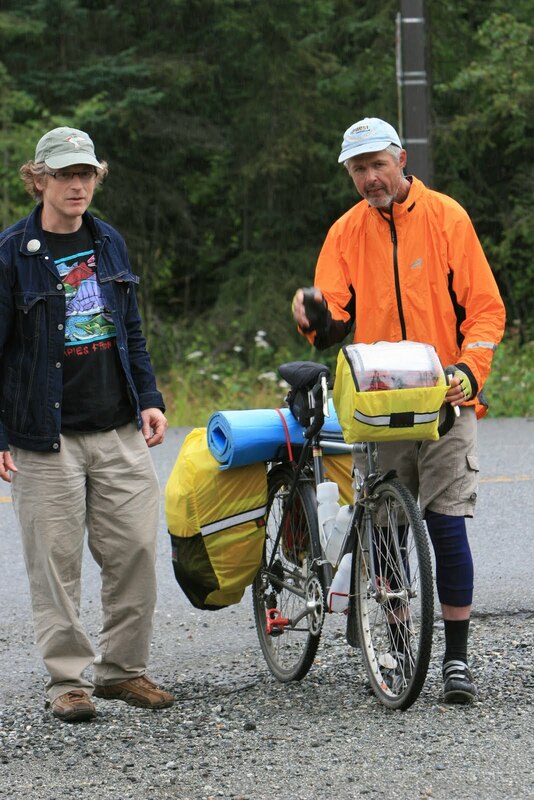 Riding solo across Alaska on a road of potholes and "washboard" ripples, a road littered with rocks the size of peaches, he fought headwind and fatigue for nearly three weeks. 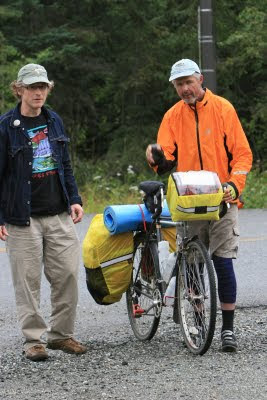 Doug rode through mud and mosquitoes up mountain passes. He sheltered from the rain under a bit of plastic. He pitched his tent over beds of rocks that prodded him at night through his blue foam pad. He fell off his bike three times. He finally arrived in Anchorage hungry, bug-bit, triumphant and relieved. He can now return to his normal everyday life. 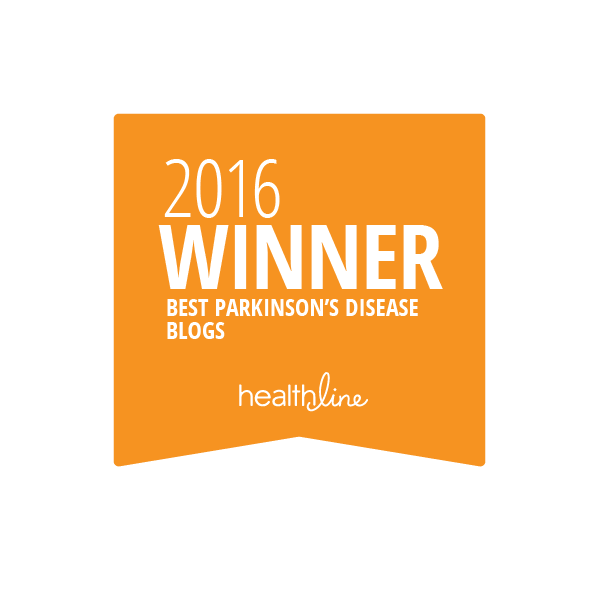 A life where he must deal each day with Parkinson's Disease. A task that will surly seem tame compared to his wild ride from the remote Arctic back to civilization. Mallory disappeared on Everest. Mortal risk was one of the hazards of going there. With Doug, it's not the going there that matters, it's the coming back. The Doug Has Landed ! Monday, August 8, 2011 A Parkinson's Telehealth Seminar on Bone Health and PD with Dr. Lynn Kohlmeir. Look for this event in room 2401 at 1:00 p.m. in the Providence oncology wing. Go to the second floor walk down the lonnnnnnnng hall that stretches South from the cafe and look for room 2401 pretty much at the end of the hall. The room will be on your left, not far from the statue of Mary in the nook at the end of the hall. We will have our regular meeting on the 20th, fifth floor of the Pioneer home, 3:30, subject to be announced. 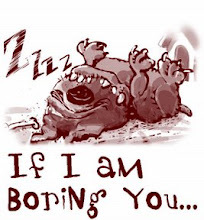 I would be happy to have suggestions on what to include there, so check it out and chime in. Get outside while it's not raining!